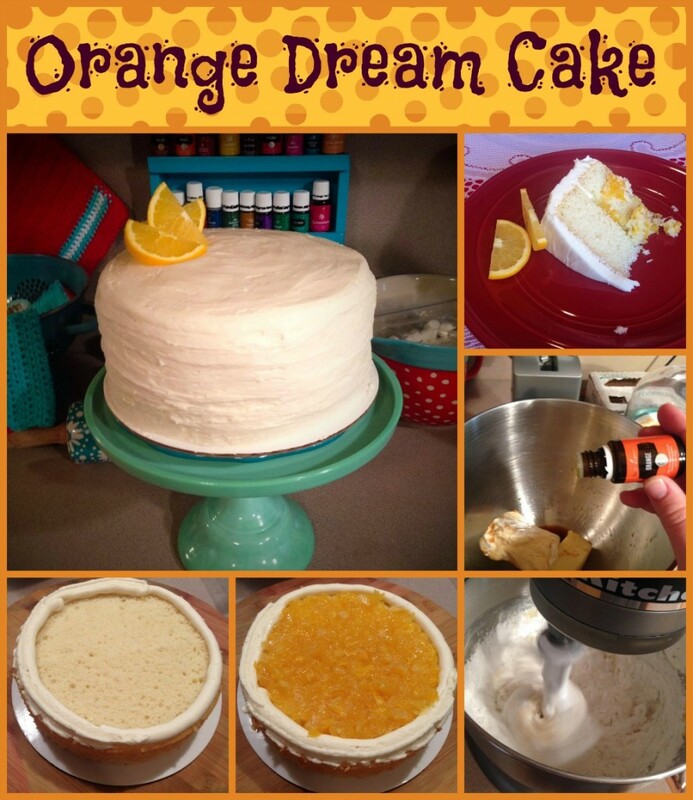 Oh my friends, get ready to preheat the oven and cheer for Heather is at it again with another amazing baking recipe for us: Orange Dream Cake-vanilla cake with orange marmalade filling and orange cream cheese icing! Orange essential oil has quickly became my most favorite oil. 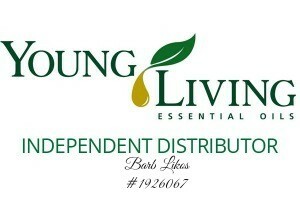 I love using it in my baking! 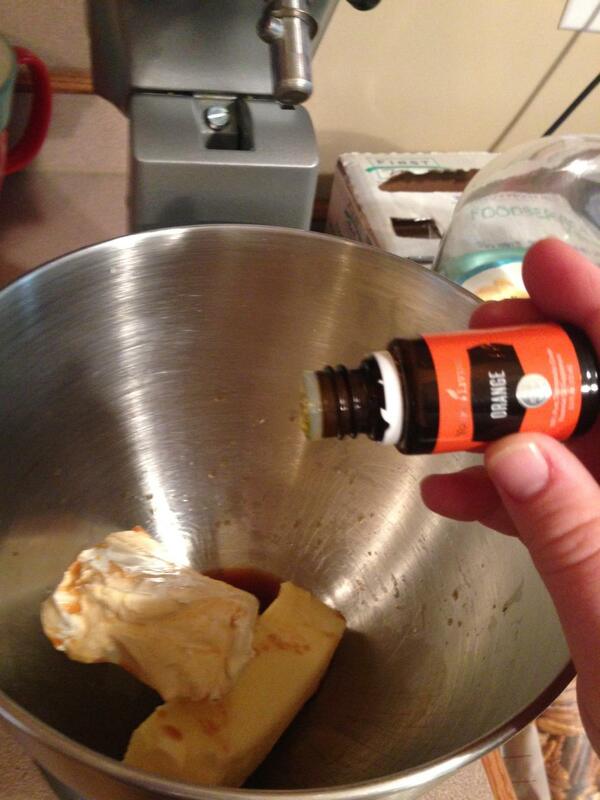 I am a cake baker by trade, so I’ve been brainstorming a recipe to include orange oil for quite sometime. This is the moistest cake you will ever eat…promise! The orange marmalade and orange cream cheese frosting really complement it well. You will want to make this filling up a day or two in advance so it has time to firm up. I used lemon essential oil in the marmalade to complement the oranges. Peel oranges making sure to remove as much of the white as possible. Chop oranges and place in a medium, microwave-safe bowl. Add sugar to oranges and stir to combine. Place in microwave for 20 minutes, stirring every 5 minutes. Remove from microwave and allow to cool for 10 minutes. Add lemon essential oil and stir. Place in a jar or airtight bowl and place in refrigerator until ready to use. Preheat the oven to 300 degrees. Lightly grease bottom of pans only with shortening, then dust with flour. 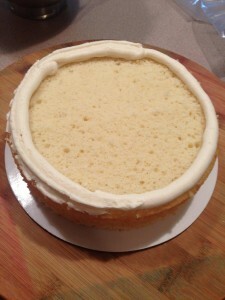 (Not greasing the sides is part of the secret to baking a cake that doesn’t hump up in the center.) Combine all ingredients in a large mixing bowl and mix until smooth with an electric mixer. Divide the batter evenly between the 2 pans and bake on center oven rack for 1 hour. Let cool in pans for 10 minutes. Remove from pans and let cool completely on wax paper. Combine butter, cream cheese, orange essential oil, and vanilla with an elective mixer until smooth. Gradually add powdered sugar, a little at a time. When the cake is cool, level each layer. Put a coupler into a piping bag and add frosting. Pipe a border around the cake to keep the filling from escaping! Add filling to cake. Put second layer on top, cut side down. Frost cake and decorate to your desire.